Gabriel Schist was once a brilliant scientist who won the Nobel Prize for inventing an AIDS vaccine. Now he's an elderly Alzheimer's patient residing at Bright New Day nursing home. When other residents fall victim to a deadly virus, Gabriel must battle through his Alzheimer's to try and find a cure. 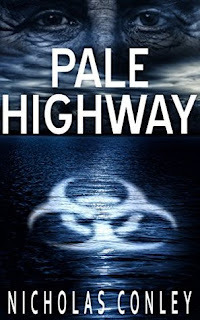 He discovers the virus is actually a product of his original AIDS vaccine and it has one purpose - to work as a collective to destroy humanity. Nicholas Conley has created a book that pulls at the heartstrings - an exceptional mind slowly being extinguished. We're shown glimpses of Gabriel's younger self - his love for Yvonne, their marriage destroyed, daughter Melanie entering his life and his close relationship with man-of-the-cloth Father Gareth. All have played a major role; shaping him into the person he became - the person who is now gradually fading away. With visitations from talking slugs and the mysterious Victor, the reader is left wondering if the entire scenario is a figment of Gabriel's fractured sense of reality. In my opinion, that's what makes this book so good - not knowing what's real and what's imagined. Without giving away any spoilers, the whole book is somewhat bizarre and 'trippy' to say the least! 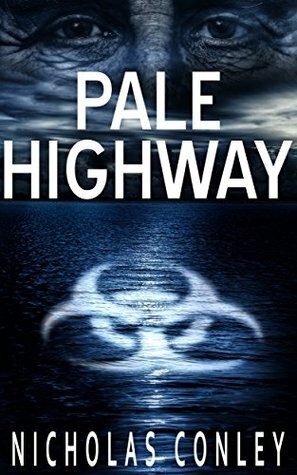 Overall, I found Pale Highway to be a good, solid, and extremely well-written story. Would I read it again in a few years' time? Probably not. A giant talking slug called Michael and his minions was just a little too surreal for me. My thanks to author Nicholas Conley for providing a copy of this book.